Is your file manager filled up with a lot of empty folders and you want to delete them all at once? Though, empty folders don't take any storage space on your Android phone but they can make your file manager cluttered. 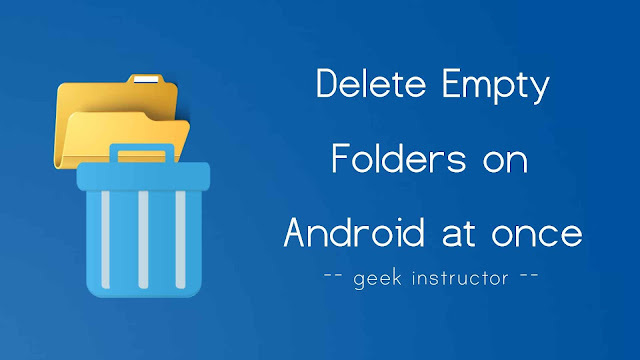 You can delete empty folders to make your phone directory more organized and accessible. There may be hundreds of empty folders in your phone and it's a tedious task to delete them manually. We came up with this tutorial to help you out in deleting all empty folders on your phone at once. 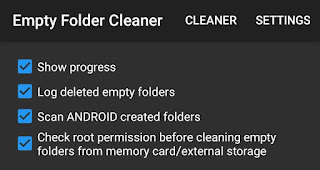 Empty Folder Cleaner is an app available on Google Play Store which allows you to delete all empty folders on your Android phone in one click. You can also delete empty folders from your external storage/memory card (root is required for this feature). The good things about this application is, it has a very simple interface, small download size (less than 1MB) and no advertisement. 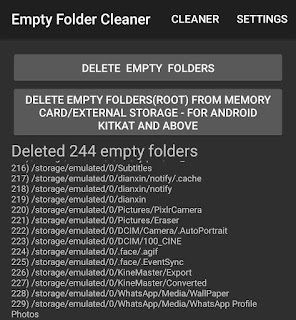 First, download and install Empty Folder Cleaner app on your phone. Now open it and tap "Delete Empty Folders" button. As you tap the delete button, the app will scan your phone directory to find empty folders and delete them automatically. If you don't want to delete folders from the directories /Android/data, /LOST.DIR, and /DCIM, then go to Settings and untick "Scan Android created folders" button. Once the deletion process is completed, you will see a list of empty folders that are deleted. This app will also delete hidden folders from your phone (those starting with "." dot symbol). Folders containing ".nomedia" and other hidden files won't be deleted as they might be required by the system or apps which has created them. Some empty folders may be created again automatically by the Android system or apps. So that's all you need to know about this tutorial. If you want to ask something, feel free to share it in the comment section.